The DSE8810 is an easy-to-use, loadshare module, designed to synchronise and work within a loadshare system of up to 32 generators including electronic and non-electronic engines. 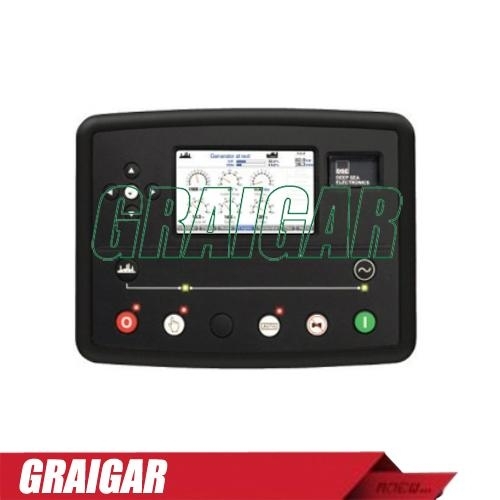 The DSE8810 monitors the generator and indicates operational status and fault conditions, automatically starting or stopping the engine on load demand or fault condition. System alarms are annunciated on the LCD screen (multiple language options available), illuminated LED and audible sounder. The event log will record 250 events to facilitate easy maintenance. An extensive number of fixed and flexible monitoring, metering and protection features are included as well as comprehensive communication and system expansion options. Using the DSE PC Configuration Suite Software allows easy alteration of the operational sequences, timers and alarms. With all communication ports capable of being active at the same time, the DSE8810 is ideal for a wide variety of demanding load share applications.